I posted this on my old blog back in early 2012, for the anniversary of his death, I think. Anyway, I thought it was worth reblogging. Kurt Vonnegut is still one of my favorites. I’m also reading Sirens of Titan by Kurt Vonnegut. I had forgotten how much I love his prose, his wit (the dark humor), and the way he constructs sentences. I read Cat’s Cradle and Slaughterhouse-Five way back in high school (and yes, they did have printed books back then — on paper, not stone). Kurt Vonnegut, Jr., photo dated April 8, 1992. Doug Elbinger, Elbinger Studios. I suppose that Kurt V has been somewhere in the back of my head, all these years, setting an example, pushing the gallows humor that sort of pops up in my work, but the thing that really got me thinking about it was, while reading Sirens, I kept thinking I would write that sentence exactly like that. Now that I’m reading him again, I realize–and I’m going to test this theory, by re-reading Cat’s Cradle and Slaughterhouse-Five just to make sure that the prose is similar–that he, not Bill (Faulkner) influenced my style of writing. I write very much like Kurt Vonnegut. Well, my style is like his. I won’t say I’m as good a writer, because that would be stupid. Needless to say, I’ll be studying his books to see how to improve my own writing. I’ll leave you with a few quotes. – Anyone who cannot understand how useful a religion based on lies can be will not understand this book either. – Beware of the man who works hard to learn something, learns it, and finds himself no wiser than before… He is full of murderous resentment of people who are ignorant without having come by their ignorance the hard way. – All this responsibility at such an early age made her a bitchy flibbertigibbet. – The skyline was intricate and voluptuous and enchanted and absurd. It looked like a Sunday school picture of Heaven to Billy Pilgrim. – And Lot’s wife, of course, was told not to look back where all those people and their homes had been. But she did look back, and I love her for that, because it was so human. So she was turned into a pillar of salt. So it goes. – Like so many Americans, she was trying to construct a life that made sense from things she found in gift shops. – The bounties of space, of infinite outwardness, were three: empty heroics, low comedy, and pointless death. “Just imagine that your Daddy is the smartest man who ever lived on Earth, and he knows everything there is to find out, and he is exactly right about everything, and he can prove he is right about everything. Now imagine another little child on some nice world a million light years away, and that little child’s Daddy is the smartest man who ever lived on that nice world so far away. And he is just as smart and just as right as your Daddy is. Both Daddies are smart, and both Daddies are right. Only if they ever met each other they would get into a terrible argument, because they wouldn’t agree on anything. Now, you can say that your Daddy is right and the other little child’s Daddy is wrong, but the Universe is an awfully big place. There is room enough for an awful lot of people to be right about things and still not agree. The reason both Daddies can be right and still get into terrible fights is because there are so many different ways of being right. There are places in the Universe, though, where each Daddy could finally catch on to what the other Daddy was talking about. These places are where all the different kinds of truths fit together as nicely as the parts in your Daddy’s solar watch. We call these places chronosynclastic infundibula. The Solar System seems to be full of chronosynclastic infundibula. There is one great big one we are sure of that likes to stay between Earth and Mars. We know about that one only because an Earth man and his Earth dog ran right into it. You might think it would be nice to go to a chronosynclastic infundibulum and see all the different ways to be absolutely right, but it is a very dangerous thing to do. The poor man and his poor dog are scattered far and wide, not just through space, but through time, too. Lately, I’ve stalled in my writing efforts. I’ve let lots of things get in the way, including a soul-sucking 9-5 job, but I’m coming back. Not as quickly as I’d like, but this new website is an indication that I’m starting to build steam again. For the past couple of years, I’ve told myself that I’d put together a website, more than a blog, and I kept putting it off because it seemed like such an effort. But I did it. Over the past week, I’ve built a website that I hope represents me. The theme is elegant grunge which sort of sums up my whole personality. I’ve also been writing some of the back story for my new novel [working title: the twins]. And I believe, after several iterations, that I have finally developed Beryl’s voice. 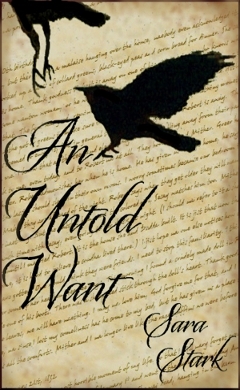 Part of my hesitation is that with An Untold Want, I went through several re-writes, changing the tense or the PoV. This time, I want to know if Beryl is going to speak or if the story will be third person, before I write a majority of the book. And it’s looking like this will be a first-person/past-tense story which is totally different than An Untold Want. 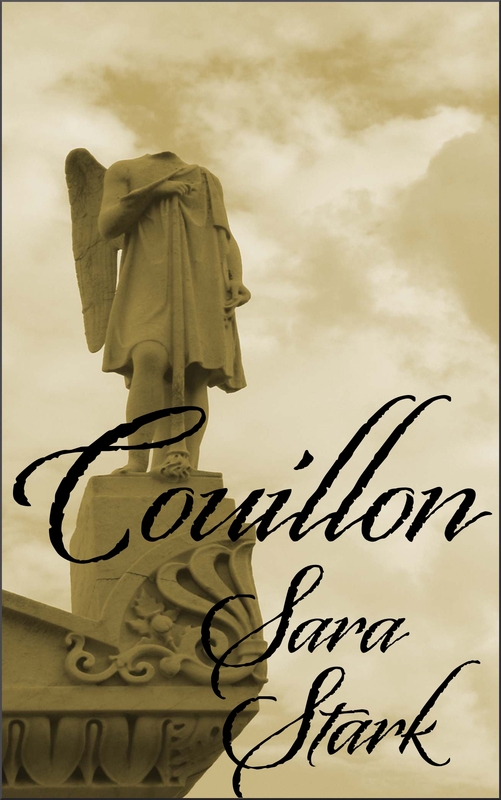 This book will be more like Couillon in style, a little more fast paced than An Untold Want, but still falling into the literary genre.